Update existing packages to a new version. Reconfigure or tune services via config files or similar ways. Unexpected manual steps. It would be frustrating, if we can’t build images purely from Dockerfile. Package installation with latest versions may incur incompatible issues. Package installation with specific versions fail. They might have been marked as obsoleted in the repo. Outage of dependent services, etc. 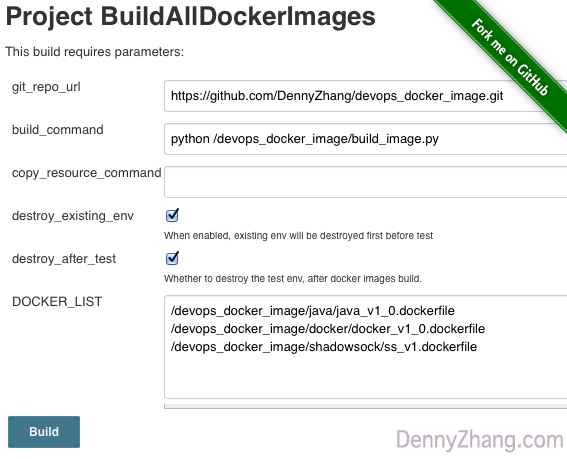 I choose to use Docker-In-Docker to verify image build. Why? Yes, I know many people are strongly against dind(docker-in-docker). Like this one. Super easy to setup and run. Literally we only need to use “docker run”, then perform tests. Leave no trace or garbage in docker host. If using a shared host, people’s daily work might be disturbed by our tests. docker build -f java_v1_0.dockerfile -t denny/java:v1.0 --rm=true . Don’t use devicemapper as your storage driver. By default, containers can only have 10GB disk. Yes, we could mount volume for big folders. Still, inconvenient. Stop containers first, before decommission. At the end of testing, make sure we stop containers first, then stop dockerd and finally destroy the env. When building multiple images, the sequence matters. Let’s say, image B might depends on image A. If image A is public, do we still need to care about the test sequence? The answer is yes. We need to build B based on latest A, instead of the version in docker hub. Speed up image build by loading frequently used golden images first. The pre-loading would not only save us lots of time, but also the false negatives of network turbulence. 1.3 What About Sensitive Files? 1.4 Wrap Up Everything As A Jenkins Job. Here comes Jenkins job (BuildAllDockerImages). You can also find a live demo here.